WHATS NEW IN 2018'S (6TH ANNUAL OPEN ENROLLMENT) UNDER AGE 65 AMERICANS SHOPPING FOR 2019'S "AFFORDABLE CARE ACT" PLANS? Sadly.... Nothing other than the "new" premiums. Therefore, the proposed benefit advantage of the plan and its design was and is the actual cause for its failure. Sadly the only healthy Americans participating are only those who are eligible for a Tax Subsidies to lower their premium. The others who are willing to pay the outrageous premiums for these anything but...."affordable" care act policies are the sick Americans who need a policy that is in fact covers their preexisting conditions and is affordable. Yet they've now had rate hikes of up to 200-400% in just 5 years and who knows what the rates will be this upcoming 6th year. So the focus has become on the "Alternative" marketing and MSA/Michele Powell was way ahead of the industry to present these alternative solutions. Now it looks like the only thing that's changed this year is the implementation of the "Tax Penalty" has been tabled for 2019 through the current Administration Tax Cut and Jobs Act that was approved October 2017. Please contact the office for more information on the 2019 strategy that best serves you and your families needs. See below to better understand the Healthcare Reform and how it might affect you and/or your family. Also how its already affected America. Signed into law in March of 2010, the Affordable Care Act (ACA) has been the most life-changing law since the passing of Medicare in the 1960s. The ACA shaped new rules and guidelines went into effect January 1, 2014. NOW... we individuals, under the age of 65, who are NOT on a group policy have become a group of our own. We have a once a year “Open Enrollment” (OE) period, just like our seniors do. Outside of this annual OE we will ONLY BE ELIGIBLE for coverage through a Qualified Life Event (QLE) for example birth, marriage, loss of employer coverage, etc. which creates a Special Enrollment Period (SEP). 2019 plans will become available at open enrollment which starts for the under 65 market on November 1, 2018. The enrollment Deadline for a January 1, 2019 effective date is December 15, 2018. Beginning December 16, 2018 the open enrollment period will be closed and only Qualified Life Events (QLE) will allow you to become eligible for a Special Enrollment Period (SEP) in 2019 for the 2019 plan design. 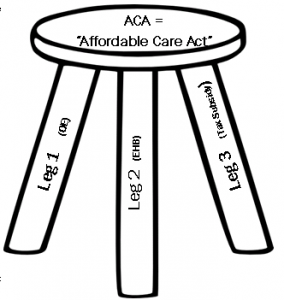 TO PUT THE ACA IN A NUT SHELL...I LIKE TO USE THE ANALOGY OF A 3 LEGGED STOOL. LEG 1: Represents the American People, under age 65 being pooled into one group, like our seniors, so that we now ONLY have the ability to shop for new coverage once a year, during Open Enrollments (OE). Outside of OE’s the only exception to shop is a Qualified Life Event (QLE). LEG 2: The ACA, mandates all NEW policies purchased must include Essential Health Benefits (EHB) like maternity, mental health, drug rehab, 100% preventive care coverage, no life time limits on policies and they are to be guaranteed issue with no pre-existing conditions, just to name a few. Hence the average rate increase in just the 1st year was 113% so far!!! If you are eligible you MUST apply for a new ACA plan as “ON” the Exchange (i.e. subsidized ACA policy). 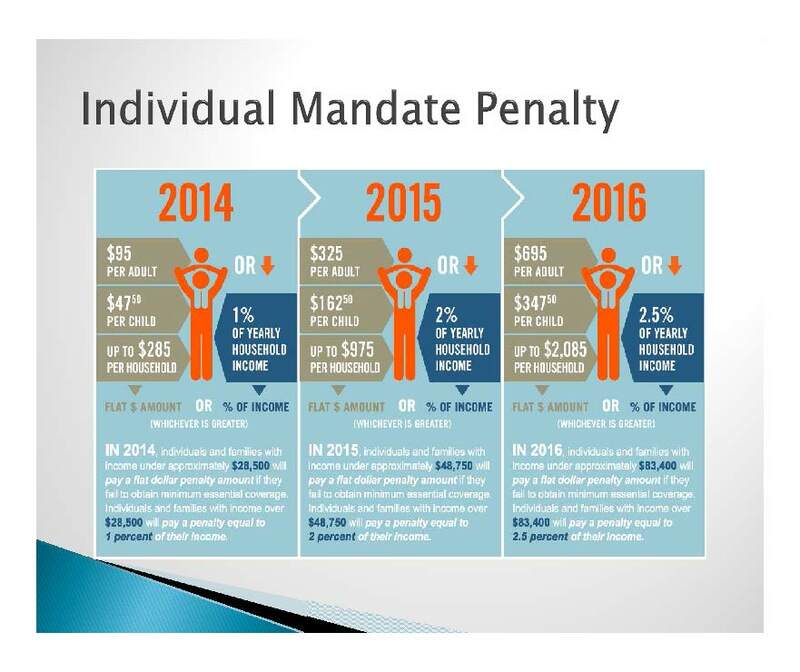 WHATS'S NEW WITH THE TAX PENALTY? Note: The Tax Penalty was part of the ACA Bill and is part of the ACA law. The ACA Law hasn't been changed, What has been changed is ... 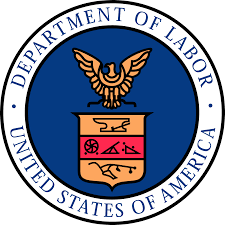 In October of 2017 the new administration implemented an Executive Order through the "Department of Labor" stating that the "Executive Branch, to the extent consistent with law, to will facilitate the purchase of insurance across State Lines and the development and operation of a healthcare system that provides high-quality care at affordable prices for the American people." To see the whole executive order please click here. Starting in 2014, there will be new levies on health insurance companies and individual tax payers to fund the health care law. The biggest tax is known as HIT - the health insurance tax. This is a multi-billion-dollar assessment on some health insurance companies based on their market share. The first year the total was expected to be $8 billion. By 2018, the amount was to grow to $14.3 billion. A 2011 study by the consulting firm Oliver Wyman confirmed the tax will increase premiums by more than $2,800 per person and $6,800 per family over 10 years. Individuals making more than $200,000 and couples making more than $250,000 began to pay a 3.8 percent tax on dividends and capital gains when they file their 2013 returns. For the first three years, insurers were to pay $63 per health insurance recipient - a temporary "reinsurance fee." The $12 billion collected was to be used to spread out risk so insurance companies that end up taking on the most costly patients will be protected. Insurance companies however simply pulled out of the market so this was another epic fail! No Health Coverage? What does that Mean for your Taxes? You may still answer a question about your health coverage when you file your federal income taxes on form #1095-B to answer you did not have a minimum level of health coverage, your taxes should not be affected for tax year 2019. WHAT TYPE OF COVERAGE COMPLIES? The ACA is facilitated by the private market therefore, “all Americans” can still contact their insurance agent, as they always have, and purchase a private market product, where available, even if the client is getting a tax subsidy. Fully insured Private Market Products purchased after January 1st, 2014 must be ACA compliant plans and include all of the ACA design requirements and Essential Health Benefits (EHBs). Private Plans purchased with an effective date prior to January 1st, 2014, may comply or may not. Plans purchased prior to March 23rd of 2010 are grandfathered and may maintain their original policy and schedule of benefits if those consumers want to. If, however, the grandfathered client wants to forfeit their policy and purchased on ACA compliant policy. They will be able to switch to an ACA compliant plan after January 1st, 2014 during open enrollments annually. For details on Grandfathered Plan requirements, click on the Adobe link below. WHAT HAPPENED TO THE PRIVATE MARKET? The “Private Market” has not gone away, it has just changed. Now consumers in the Private Market have a once-a-year Open Enrollment or have to experience a QLE (Qualified Life Event) to create a SEP (Special Enrollment Period) eligibility window outside of the annual Open Enrollment to acquire an ACA plan..
Now, as of January 1st, 2014, New "Private Market" plans must be ACA compliant and offer all 10 of the EHB (Essential Health Benefits) in order to be considered "fully insured". If a client is eligible for a tax subsidy, they must qualify according to the Federal Poverty Level (FPL). Then the premium for the Private Market product is offset with the tax subsidy so that the carrier offsets the premiums and bills the adjusted balance accordingly. Back to top HOW DO I DETERMINE WHETHER TO PURCHASE A “PRIVATE MARKET” POLICY THROUGH AN AGENT OR GO DIRECTLY TO THE “MARKETPLACE”? Federal Law specifically states that clients do not have to go directly to the marketplace. So, why would a client choose to do so and eliminate a licensed professional agent from their repertoire of professional advisers? The carriers supplying coverage for the under 65 American population are "Private Market" carriers and have always paid the agents a commission directly. Michele Powell NPN # 524829, is an agent with over 25 years of experience. 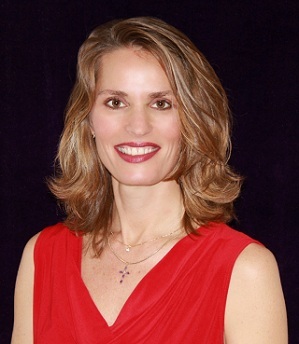 She can help you best choose the healthcare strategy for you and your family's specific needs. Enjoy 2 of her favorite "School House Rock Video's" Do you know how a bill becomes a law?Click the Logo to the left for Schoolhouse Rock - an educational guide Do you know about how our history was formed? Click the Logo to the left for Schoolhouse Rock - no more Kings ! WHAT OVERAGES ARE AVAILABLE AT THE MARKETPLACE? Most states also offer a catastrophic plan, for those under 30 or who can show a financial hardship to be eligible through the Marketplace. NOTE: The Government Tax Subsidies and out-of-pocket assistance for those with low incomes are ONLY available through the Marketplace. Florida does not have a State "Exchange," therefore, anyone "tax subsidy eligible" must apply through the Federal Exchange and should request their licensed ACA compliant agent for representation and service throughout the year. Those who are "subsidy eligible" are those who are considered by the federal government to be unable to afford health coverage. The new law will provide assistance in the form of tax credits/subsidies AND help with out of-pocket health expenses. These “Subsidies” will be made available based on how a family’s gross income compares to the national Federal Poverty Level (FPL). Individuals and families with incomes between 100 and 400 percent of the FPL will qualify for tax credits to reduce the premiums for health insurance purchased through the Marketplace aka Exchanges. In addition, those with incomes from 100 to 250 percent of the FPL will qualify for help in paying out-of-pocket costs for the co-pays and deductibles not covered by their health insurance. In 2018 the FPL for a one-person household is $12,140. 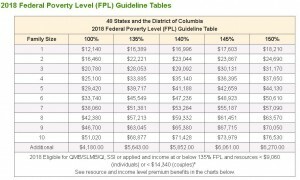 For print off of the poverty level chart please click the link above the picture. NOTE: If your employer offers affordable health insurance to you, you most likely will not qualify for a Subsidy. If you have employer-provided insurance, your family members can shop on the marketplace, but may not qualify for subsidies, which are based on the family income. Just like we Americans all go to the same grocery stores, and some of us pay with CASH while others pay with FOOD STAMPS (aka EBT cards), the health insurance market is the same. We all will go to the same carriers and be offered the same policies however those who are eligible for a tax subsidy will pay for their premium, all or partial with a HEALTH TAX SUBSIDY. For example: A policy that costs $800 a month will cost those"OFF" the Exchange $800. Those who purchase that same policy who are eligible for a tax subsidy will be considered "ON" the Exchange and will take their tax subsidy of lets say $300 a month and reduce their $800 a month premium down to $500 and that is what the carrier will actually charge them for. The "Tax Subsidy" will pay the carrier the balance and the consumer who qualifies for the "Tax Subsidy" will take it up with the IRS at the end of the year. If the consumer who took the subsidy did not actually qualify for the $300 estimated subsidy, then they will have to pay it back in the form of a tax adjustment at the end of the year. If they qualified for more, the subsidy adjustment will be made accordingly. NOTE: The "tax subsidy" is aka (also known as) purchasing an "ON Exchange" ACA compliant plan. WHAT WILL THESE PLANS COST? Carriers still in the marketplace announced rate increases again this year. The other carriers have left the marketplace do to significant losses incurred from these guaranteed issue plans with the 10 Essential Health Benefits now required on all ACA compliant plans. The simple answer is: Yes. Please call our office to discuss an "Alternative" that best serves you and your family and to see if you'll be eligible. IS MY EMPLOYER REQUIRED TO PROVIDE ME COVERAGE? If your employer offers insurance or a family healthcare plan, you can obtain coverage through your workplace. Employers with more than 51 employees will be required to automatically enroll their employees in a company-provided healthcare plan eventually (or face penalties). An alternative to employer-provided coverage would be to obtain it through “exchanges,” which are policy marketplaces operated and regulated on a state or federal level that offer individual and family healthcare policies and coverage options. Employers with 49 or fewer full-time employees are NOT required to offer coverage to their employees. WHAT IF I DON’T HAVE EMPLOYER PROVIDED HEALTH INSURANCE AND CAN’T AFFORD TO BUY FROM THE “PRIVATE MARKET” OR “GOVERNMENT MARKETPLACE”? If you’re still confused, you are certainly not alone – the map link below will display one of the cleanest attempts to simplify the“New Paths To Health Insurance” we've found. Simplified? Please click HERE to see map. Law Language - Sec 1501, page 148 addresses the exemption. Back in 2010 NAHU assembled two charts (click on Adobe links below) to help explain the timeline for implementation of the law.